T&S does an excellent job. Professional, thorough, and considerate. They are also reasonably priced. I highly recommend them. Well done! Tony and Saul were recommended by a realtor friend about 10 years ago. We've used them a few times a year ever since. They are very flexible in their scheduling. They actually start our job at 7:00 AM. We usually have them both power wash our home and then do all our windows. They are very good at follow up. We'll get a call every few months to remind us we're due for service. Their whole crew are all very professional. These guys are the BEST at window cleaning and screen service. They always show up on time. The workers wear booties in my house to keep my floors clean, and leave my home just as it was but with sparkling clean windows and screens. We have used their service for close to 20 years and we have never been disappointed. The workers are always friendly and courteous. They clean the windows, screens, and window tracks. Use T & S Window Cleaning. They are the best! T&S exemplify great customer care. Tony was very helpful and upfront with costs on the phone, and had a team there to replace my screens within an hour. Saul brought his team and built the screens onsite. All were friendly, hard working and very very clean with their work. They went above and beyond. After the screens were in, I asked about window cleaning. I'm pretty sure I got a screaming deal, and may never ever touch a squeegee again! Seriously will never use another company! My windows have never looked so good! So glad I found these guys! Our chihuahua, with some assistance from our toddler grandson, had destroyed the old patio screen door. Within an hour, Saul and his helper had a nice new screen door installed, with a good solid lock, too. We'll see how long it takes the dog and baby team to ruin this one...but it looks sturdy, and I'm hoping it will hold up well. I can't wait to hire this company to wash all my windows and screens, a service they also offer. I highly recommend T&S: prompt, friendly, and service with a smile, which is somewhat rare these days. We became a new customer of T&S this morning, and will definitely be repeat customers. My windows, screens and tracks have not been this clean since installation. Inside and out, this is one beautiful job. And these gentlemen are efficient - 2 sliders and 15+ windows in under 3 hours and they achieved perfection! Great company with high quality standards. They show up on time and complete the job quickly. I would highly recommend using T & S for either home or office services. By far the best window cleaners and screen repair in OC. Professional, clean, on time, attention to detail, and always going the extra step!!! You won't find a better window washing service than T&S. My wife and I have been customers for years, and believe me when I say that my wife is very particular about the cleanliness of our home. Trust me when I tell you that there is nobody better, and more honest and efficient than Tony and Saul. Not only are they the best in the business, they are really nice guys with an incredibly respectful and competent crew.. I have been doing business with T & S window cleaning for over 20 years. I get the same excellent cleaning every time they come. They arrive on time, clean screens, window sills, remove cob webs, etc. They also replace screens when needed. I have recommended their services to neighbors and friends who are now repeat customers. We completed this routine window cleaning in San Clemente, CA. Our commercial grade soaps and squeegees provide spotless and streak free results. 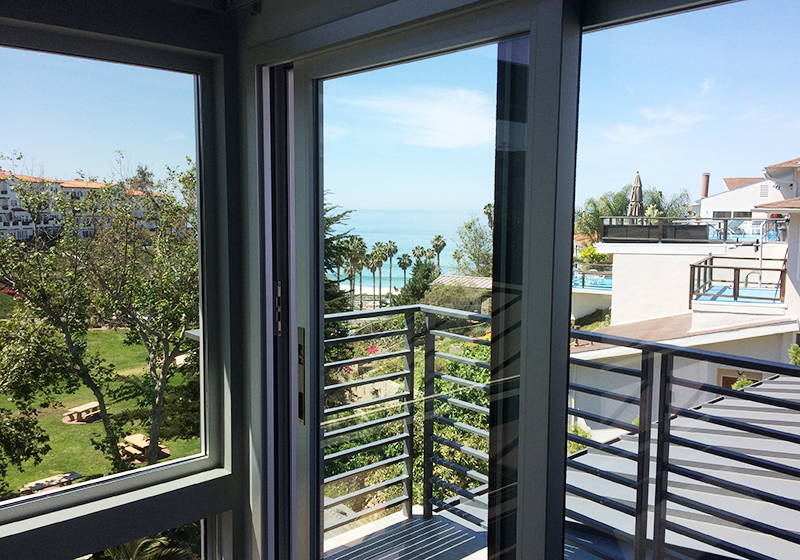 We improved the beautiful ocean view from this home by giving our clients spotless clean windows to look through. 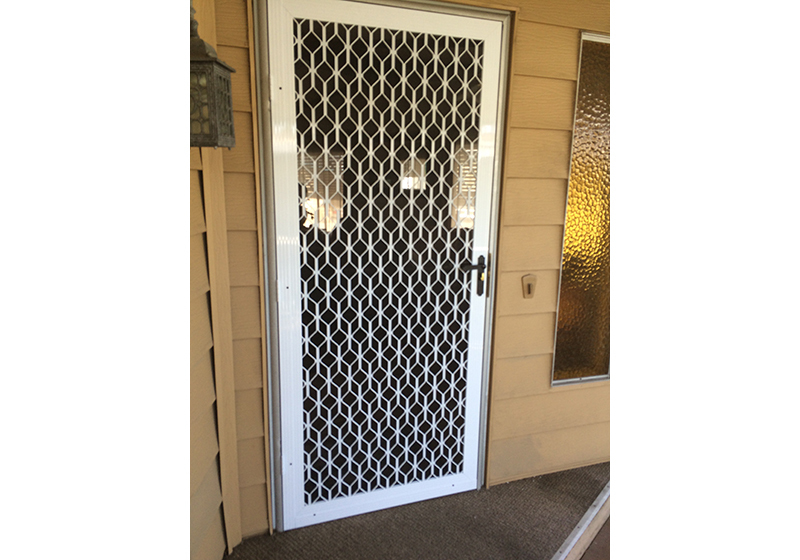 T&S Mobile Screen services provides quality screen door installations, repairs, and replacements. We installed this aluminum swinging screen door in Orange, CA. Our client chose an intricate pattern that opens the home up to enjoy fresh air while maintaining privacy and added security. 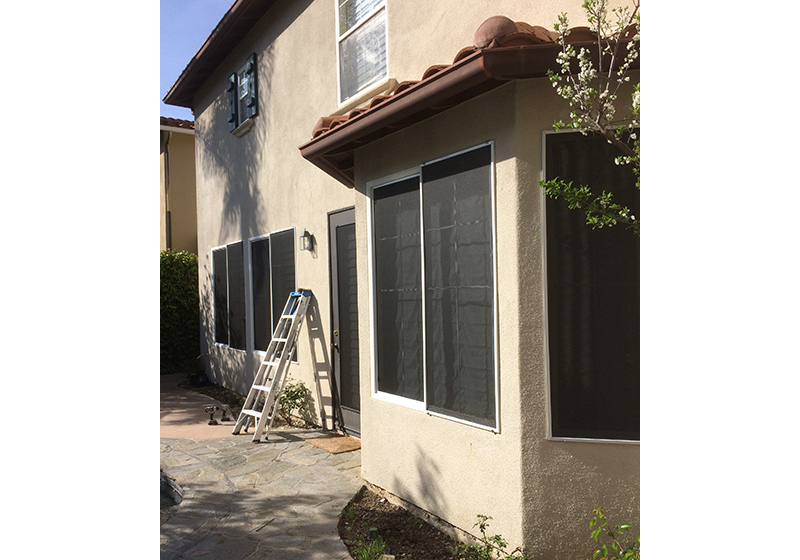 This window rescreening in Laguna Hills, CA was completed by the screen repair experts at T&S Window Screen Repair and Window Cleaning.